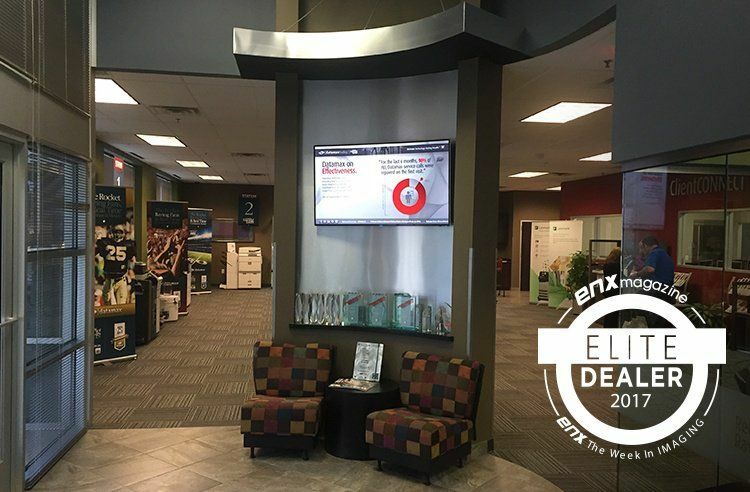 "We are proud to be honored for the the second consecutive year as an Elite Dealer by ENX Magazine. In light of our 91.7 average Net Promoter Score® (since 2012), this award very much underscores the kind of culture we envision – and enjoy. It's the kind of feedback and foundation that encourages our continued drive in Creating Raving Fans® for the long haul," says Barry Simon, President, Datamax Inc.
Datamax Inc. offers the latest equipment and solutions in technology to increase efficiency and productivity in customers’ offices. Datamax Inc. has been in business for over sixty (60) years with offices in Arkansas and Texas with more than two-hundred (200) employees in two (2) states.